Happy to be back with another creation inspired by a terrific stamper -- this time, it's Dawn McVey. A visit to Dawn's blog (hello Winston, a cute dog) is truly an opportunity to soak up the sun. Her life isn't perfect, but her cards and posts speak happy. Even her color choices are happy. 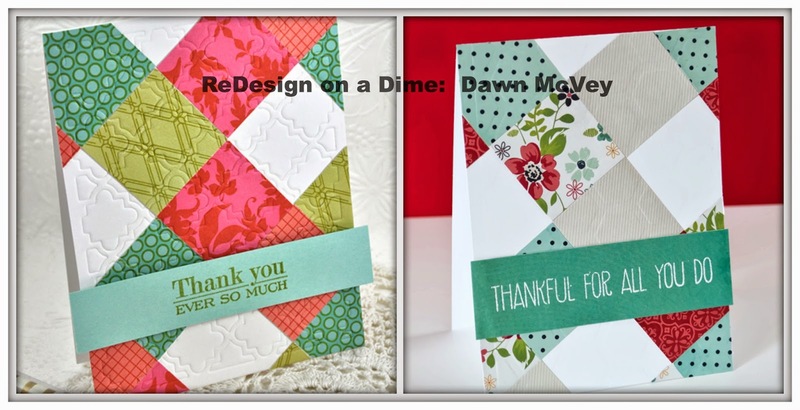 I saw this card by Dawn featuring a No Sew Quilt technique and noticed that Dawn used an impression plate to get the quilted effect. I don't have any impression plates or embossing folders (AACK!) but I loved the look, so I decided to ReDesign without spending a dime. Dawn's technique results in a deeper impression, but if you don't have an impression plate, mine works as well. 1. Watched Dawn's video and followed the directions to make the card. 3. 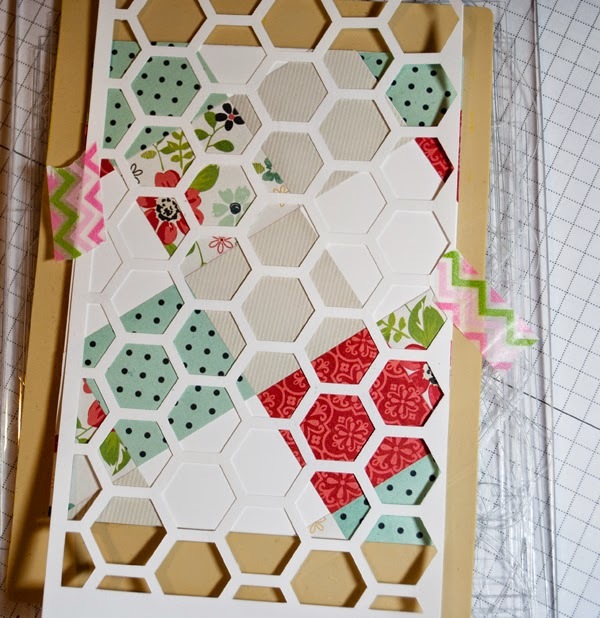 Cut a honeycomb image with the Silhouette using Neenah Solar cardstock. Order: Big Shot multipurpose platform opened to Tab 1. Cover Plate. Tan Mat. 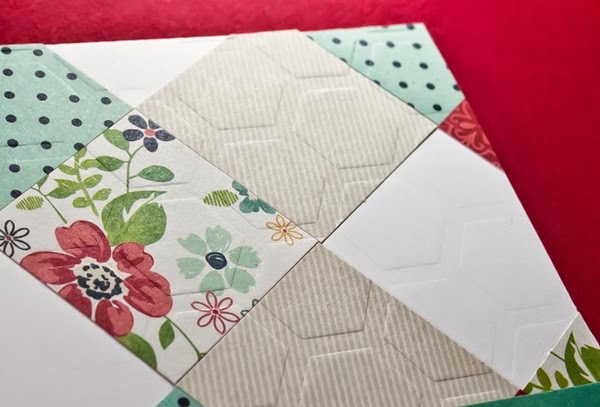 Quilt Card, Honeycomb, Cover Plate. Here's a picture of the honeycomb on top of the card and a tan impression mat. Suspect if I added a piece of typing paper to the sandwich the impression may have been deeper. 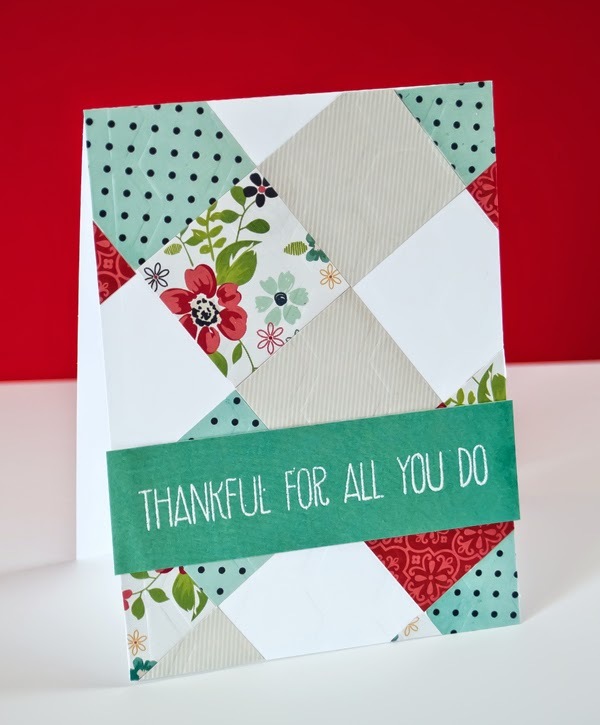 Thank you Dawn for agreeing to let me post a picture of your card here and for being such a great stamper. What a great card Joan! I love that you made your own impression plate from the Silhouette. So clever. Great mix of papers too. Your card is as beautiful and very fresh and clean looking. I noticed the impression right away and I'm surprised to find how you accomplished it. Very clever! Beautiful, Joan! Great idea to create the honeycomb with your Silhouette! I have used the quilt design multiple times since Dawn's video was posted. CLEVER GIRL!! I'm trying so hard not to spend money on more craft (or crap, as the Toad affectionately terms my goodies) supplies and this is a very creative!! I'm filing it away!! Gorgeous, loved the papers you chose!